Canadians use far too much energy and water, and produce more garbage per capita than any other country on earth, a report from an influential think-tank says. Canadians use far too much energy and water, and they produce more garbage per capita than any other country on earth, a report from an influential think-tank says. "Our large land mass, cold climate and resource-intensive economy make us less likely to rank highly on some indicators of environmental sustainability, but many of our poor results are based on our inefficient use of our resources," said Len Coad, the board's director of energy, environment and technology policy. The Conference Board measured air pollution, garbage production, energy consumption, water usage and many other factors across 17 developed economies around the world. While Canada earned a few A grades in categories such as water quality, endangered species and the use of forest resources, overall the country scored a D average. The 15th-place ranking put Canada only ahead of the U.S. and Australia in the ranking. The board noted that those three countries have a few factors in common to help explain their comparatively dismal results: they have the largest land masses in the survey, and they have the most resource-dependent economies in the OECD. Canada fared dismally in terms of the amount of waste we produce. 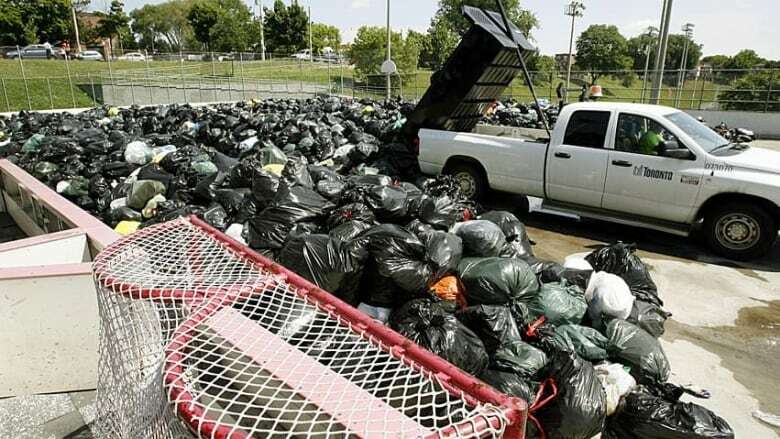 In 2009 (the data year on which the study was based), Canada produced 777 kilograms of garbage per citizen. Across all 17 countries studied, the average was only 578 kg produced. The numbers show that Canada produces more than twice as much garbage, per person, than Japan, the best country on the ranking in that category, which made only 377 kilograms per person that year. Canada also fared poorly in use of our vast water resources. On average Canadians use twice as much water as do the residents of the other developed economies on the list. Indeed, we use nine times more water than people in the best country on that metric do, Denmark. Canada's vast water resources encourage wasteful use, the board suggests. "Excessive water withdrawals in Canada can be attributed to the lack of widespread water conservation practices and water pricing that does not promote efficiency," the board said. The report found Canadians use 1,131 cubic metres per capita of water per year. The only country that uses more water is the United States, which consumes 1,632 cubic metres per capita. The board gives Canadians credit for some progress on the water issue in their day to day lives — Canadian people cut their water use from 335 litres per day in 2001 to 327 litres per day in 2006, but increased use from industries caused far more water to be consumed in the country overall. And overall, the quality of Canada's water supply was above-average. Canada ranked fourth in that category with an A grade. Overall, however, the report doesn't paint a pretty picture for a country that often prides itself on its vast natural resources. "Canada must promote economic growth without further degrading the environment," Coad said. "Encouraging more sustainable consumption is crucial to achieve that objective."